Good weather and beautiful skies. This is what we love about Alberta weather. 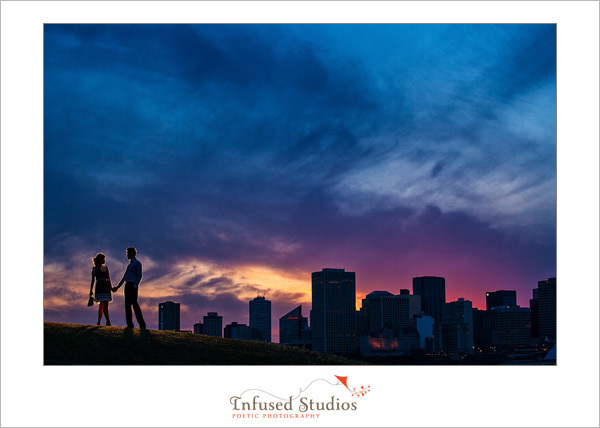 Amy and Howard enjoyed the sunset over looking the downtown skyline and took some time to have fun and get away from their busy studying schedule. Look forward to your big day in August. Hope that you will be free of studying that week! Joanne and Andrew love the finer things in life. She is into the latest make-up trends, fashion and cinema. Andrew has an amazing taste for art, music and photography. 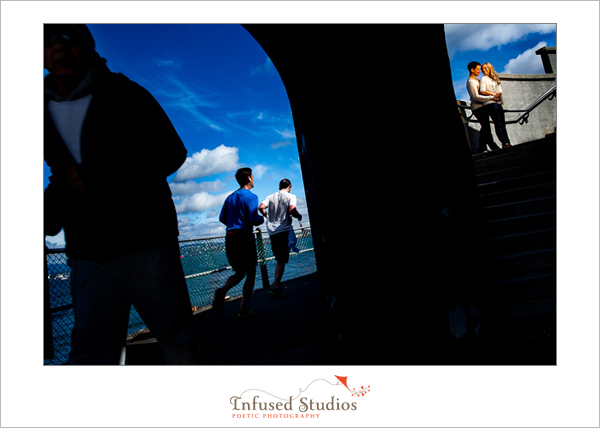 Their dreams came true on their wedding day when we gave Andrew a Leica and a roll of B&W film to shoot his gorgeous bride in her wedding gown and Louboutins. Triple Teaser Alert!! Special treat for a Happy Monday! Every April, we’re lucky enough to travel to Vancouver for 2 things…sushi and cherry blossoms! This year is no exception! 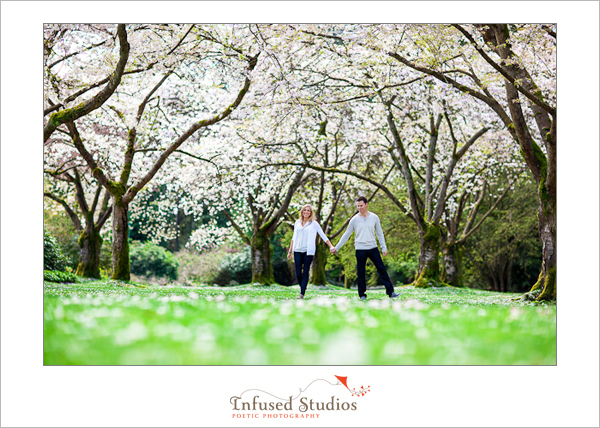 We’re so happy that Mike & April are able to join us in beautiful BC for their engagement session. April is a well travel Yoga instructor and Mike has the biggest smile when exploring the outdoors. 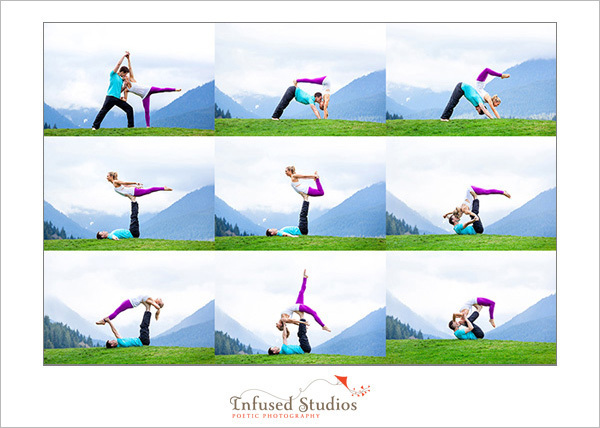 At the end of their session, we also had to pleasure to see a few yoga acrobatic poses from their years of physical conditioning. We want to introduce you to our latest couple Jennifer and Kevin. They are known for being very camera shy, but when you play the Backstreet Boys…you can hear Jennifer run to the dance floor (and maybe some shouts here and there too!). Thank you for letting us be part of your special day. We look forward to hearing more concert adventures from you both. After attending the 2013 WPPI convention in Las Vegas, Anthony + I had the rare luxury of traveling up the California coast for a couple weeks to visit friends and urban food explorations. It is no myth; California is blessed with the most beautiful natural lighting especially during sunsets in the Napa Valley! 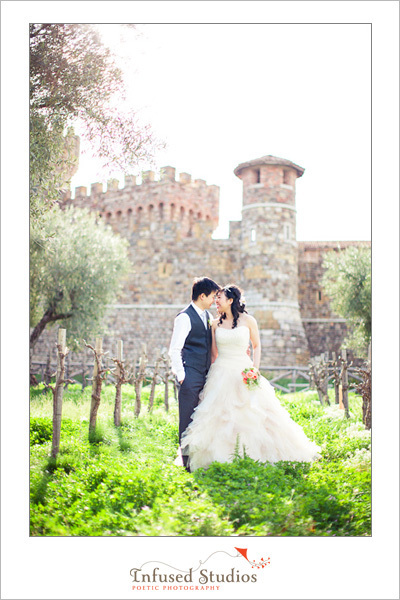 We’re really excited to share a teaser from Tammy + Dickson’s pre-wedding session in wine country. Dickson had proposed to her at Napa last year and we are lucky enough to have them come back from Canada this year for their session! It was super fun spending time with you guys! 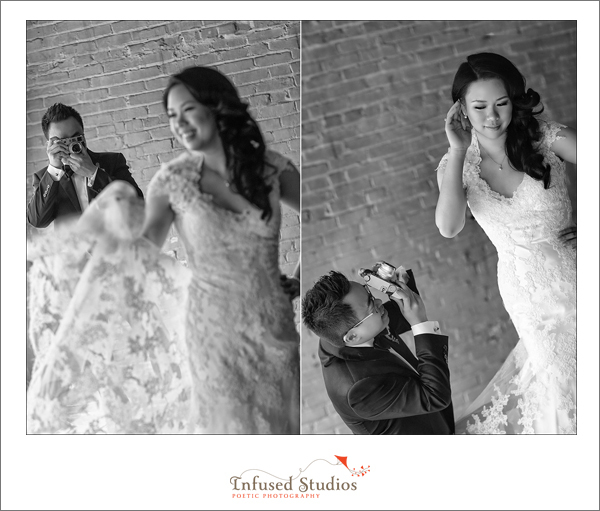 We can’t wait to show you the rest of your amazing images.